Happy Wednesday! 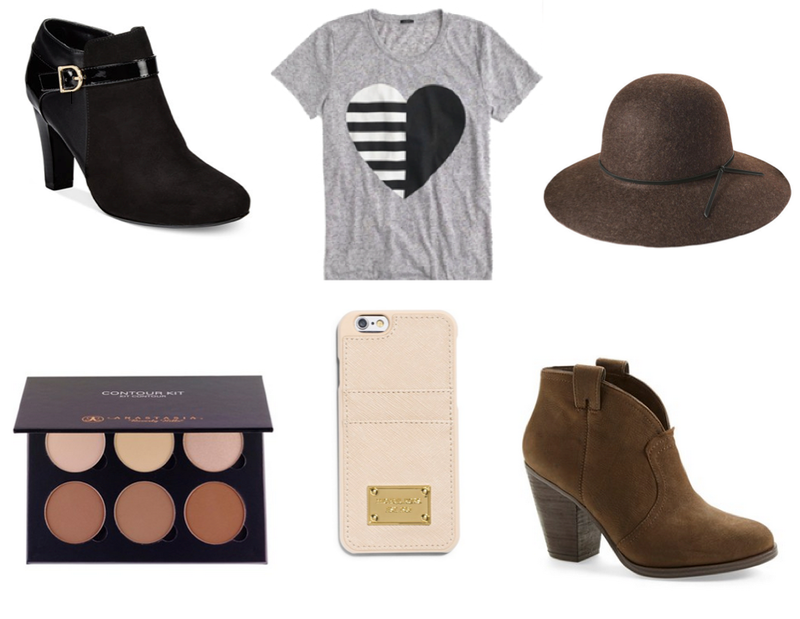 This week I have been on the hunt for comfy fall clothes & accessories. I love the feeling of a loose top with leggings and comfy boots on a fall day. I’ve also been looking to switch up my makeup routine a bit and definitely want to try out this Anastasia contour kit. I hope you’ve all been having a great week so far. I’ve been pretty much doing nothing but work, but tomorrow night I’m grabbing drinks with some girlfriends on a local patio and could not be more excited to enjoy a relaxing summer night! Just a heads up – this week I am changing my schedule up a bit because of a collaboration, so I’ll be posting my final post of the week TOMORROW instead of Friday. Excited to show you guys who I’m collaborating with and looking forward to seeing what you think of my first fall outfit post on LLB! Love the top three tops. The tunic and jumpers look so cosy, yet fitted and flattering, always a win! Aren't they cute?! Fall to me is all about laid back and cozy style. Such great booties! That's what Im looking to add for fall this year!